Canada's largest bank is one of 16 financial institutions across the globe accused of conspiring to fix the international lending rate. The Royal Bank of Canada was named in a lawsuit launched by the Federal Deposit Insurance Corporation (FDIC) - the largest U.S. banking regulator - on Friday for allegedly rigging the LIBOR - the London interbank offered rate. LIBOR is a lending rate calculated and released by banks in London, which is used as the basis for global consumer loans and savings rates, worth hundreds of trillions of dollars. 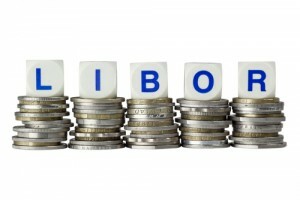 The LIBOR is used as an indicator for the global economy by showing the rate at which money is being lent for short-term loans. which could cost billions of dollars to end users. The allegations date as far back as 2007, prior to the global recession in 2008 and 2009.